Education historically works best when it is localized based on the challenges, needs and the possibilities for success. In short, it belongs at the state and local level. The battle in Washington, D.C. is new but the ongoing battle at the state level in Ohio is not. The teacher’s union, supported by powerful players within the Ohio Department of Education (ODE), including some Republicans, mirrors the very public federal level battle under way at this moment. 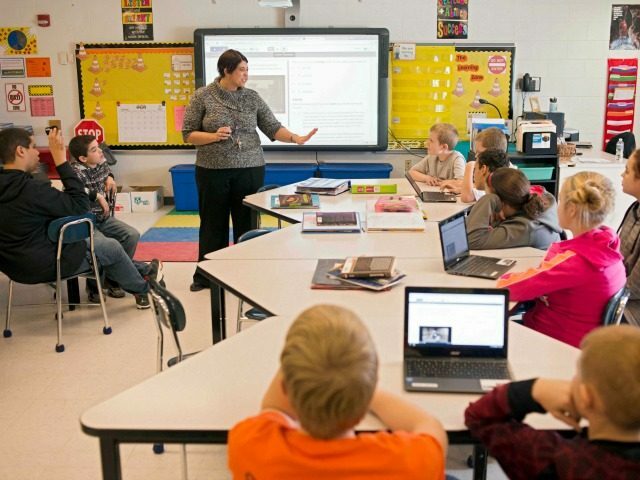 It’s common thought that the Republicans are on the side of school choice, but in Ohio, the Department of Education and Senate Education Chairman Peggy Lehner (R-OH-6) are, in fact, cohorts in opposition to school choice and equal application of standards to the various types of charter schools in the state. An Ohio-based online investigative website, 3rd Rail Politics, has researched and developed a timeline that brings into question the associations between Republican State Sen. Peggy Lehner and the Thomas B. Fordham Institute. Over the course of several months, fact-based, direct and troubling ties have been established. Often when politics, policy and private sector collide one should follow the money and examine who would benefits from the particular policies or actions taken in the halls of government and government committees. Following the money and the familial connection, Peggy Lehner is the sister of Kate Walsh who has been paid by the Thomas B. Fordham Institute for policy work. It is fair to examine the rising influence of an outside third party, the Fordham Institute in this case, on the Ohio Department of Education and the Senate Education Committee. A key question for Ohio Republican Governor John Kasich, the Ohio Department of Education, and the Ohio Senate Education Chairman Peggy Lehner is why administrative rules are not being applied equally to all eSchools, and why these rules are being applied contrary to a contract with the state’s largest electronic classroom, ECOT. ODE is attempting to usurp the role of the Ohio legislature. Purposefully ignoring both the legislative and administrative law process, ODE is manufacturing its own law to achieve the apparent objective of effectively eliminating eSchools for most Ohio students. It’s typical that Republicans stand on the side of choice and opportunity when it comes to education from grades K-12, but in Ohio, it seems many on all sides, including the teacher’s union, stand on the side of money and profit over options and opportunity for students. A live in-depth on-air discussion will occur this Friday night on the David Webb Show on SiriusXM Patriot at 9PM ET with Ohio state representatives and national spokespersons within the school choice movement. Listeners are encouraged to call in at 866-957-2874, because in the end this is about their children.